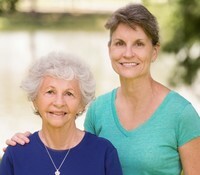 Mother/daughter author duo HL Carpenter write family-friendly fiction from their studios in Carpenter Country, a magical place that, like their stories, is unreal but not untrue. When they’re not writing, the Carpenters enjoy exploring the Land of What-If and practicing the fine art of Curiosity. 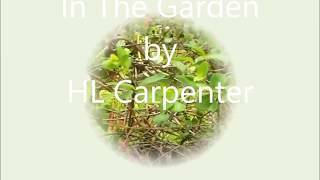 Visit HLCarpenter.com to enjoy gift reads and excerpts and to find out what’s happening in Carpenter Country. To ask H.L. Carpenter questions, please sign up. Where is the ideal place to read your books (the beach, in bed, on the bus, etc.)? Seriously, we love to read so much we are happy to read anywhere, and so we figure other readers are also delighted to have a few free minutes and a good book at hand, wherever they happen to be when that fortuitous event takes place. H.L. Carpenter We're very lucky because having a partner eliminates the difficulty of getting stuck. There's always someone to discuss the story with! This week's web travels coincided with two mysteries and an adventure that happened right here in Carpenter Country. "As I read this book I was thinking, okay, three stars but when I arrived at the end the two double twists were so unexpected and so cleverly executed that I have given it four stars." "I know what it's like to suffer a tragedy when someone drives drunk or on drugs. It happened to me, and my son. This novella documents the torment Brianna feels, what we all would feel when trying to continue life after the loss of a child.
" Gina wrote: "H.L. wrote: "Our oak is an acorn producing monster. Sometimes we think she tosses them to the ground--or on top of our heads--just to be Gina wrote: "H.L. wrote: "Our oak is an acorn producing monster. Sometimes we think she tosses them to the ground--or on top of our heads--just to be ornery." This comment earned you a snort laugh. It was pret..."
We’d love your help. Let us know what’s wrong with this preview of A Penny on the Tracks by Alicia Joseph.